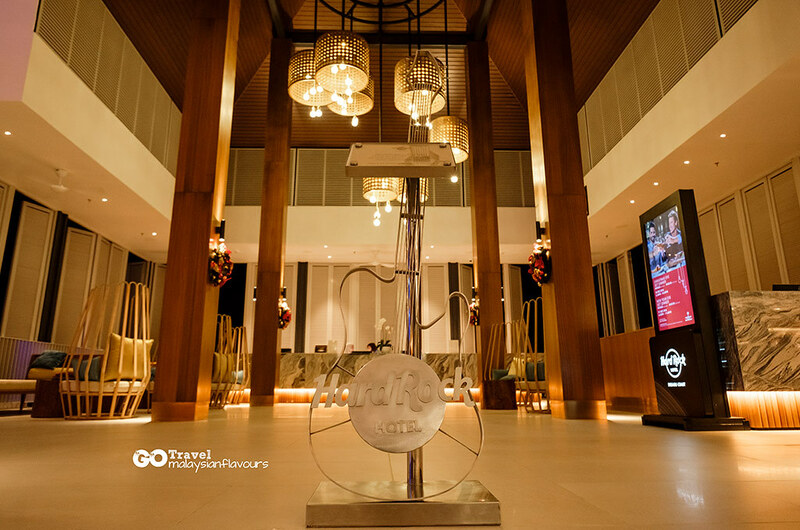 Hard Rock Hotel Desaru Coast 3D2N stay review! 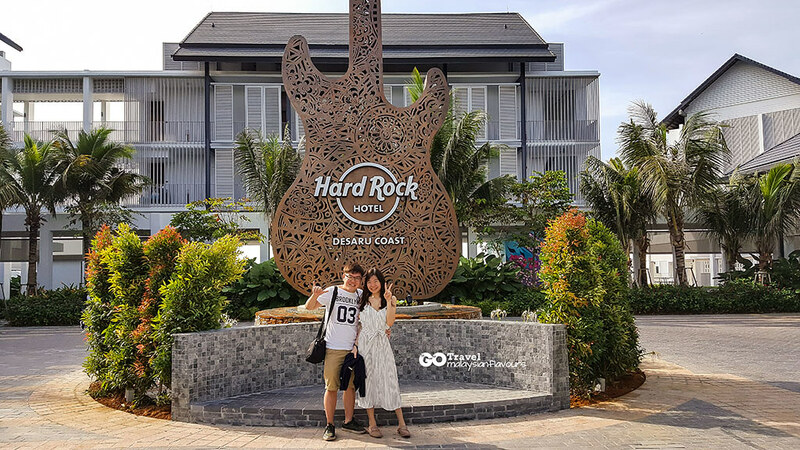 Visit Desaru Coast for the first time few weeks ago and stayed in one of the newest resort hotels in Johor, also our favourite – the famous Hard Rock Hotel! 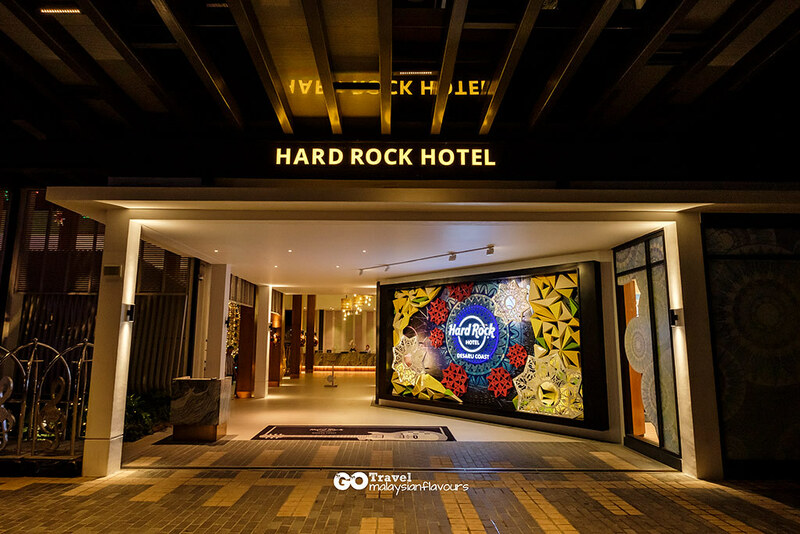 Located directly next to Desaru Coast Adventure Waterpark, Hard Rock Hotel Desaru continues to take prides for their iconic rock & roll theme, alongside with architecture in the shade of white and grey, surrounded by lush greenery. 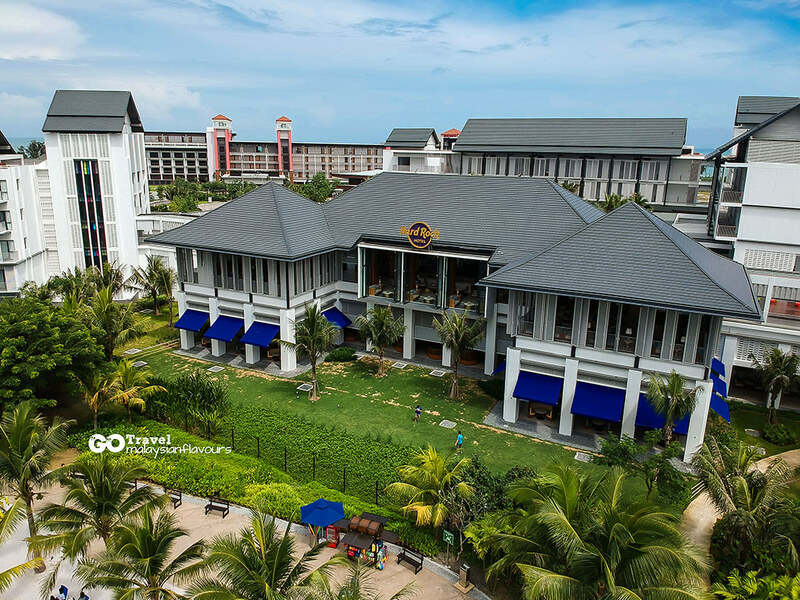 Whether you are looking for a short trip with friends, short holidays with family, anniversary celebration with your loved ones, or merely a weekend getaway to escape from the hustle and bustle of city, Hard Rock Hotel Desaru is a place that fits in well. If you have more time, you can even drive into Singapore for city hopping, which takes about 2 hours of journey. Our Superior Room for 2 nights! 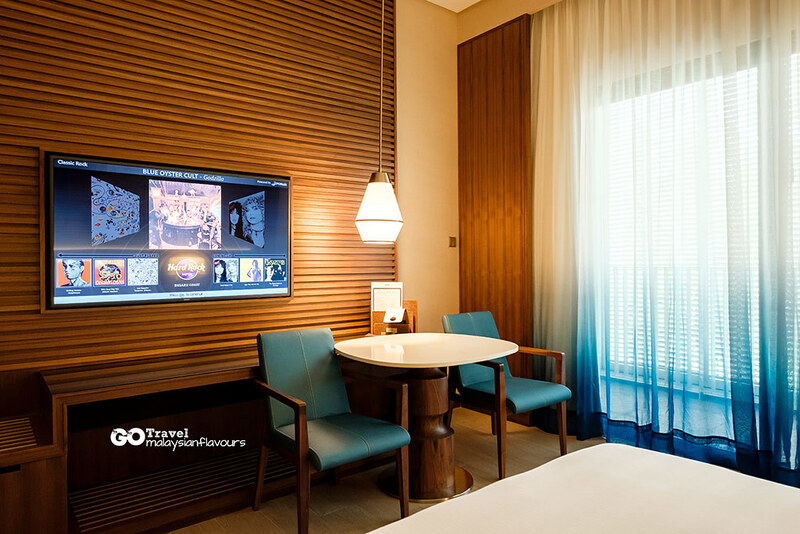 Stylish, modernly designed room in the size of 42sqm, adorned with rock star touches for a unique, Hard Rock-style staycation. 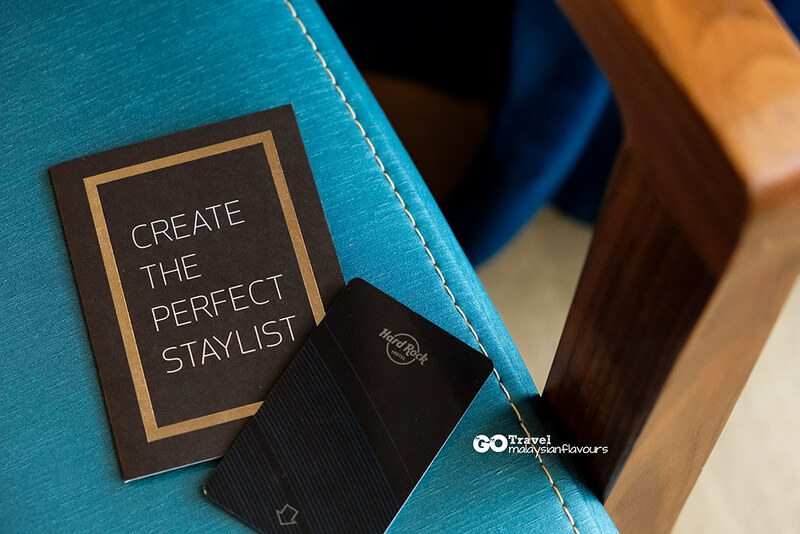 As mentioned by the hotel – “We put major attention into every minor detail to ensure your Hard Rock vacation is worthy of a superstar”. 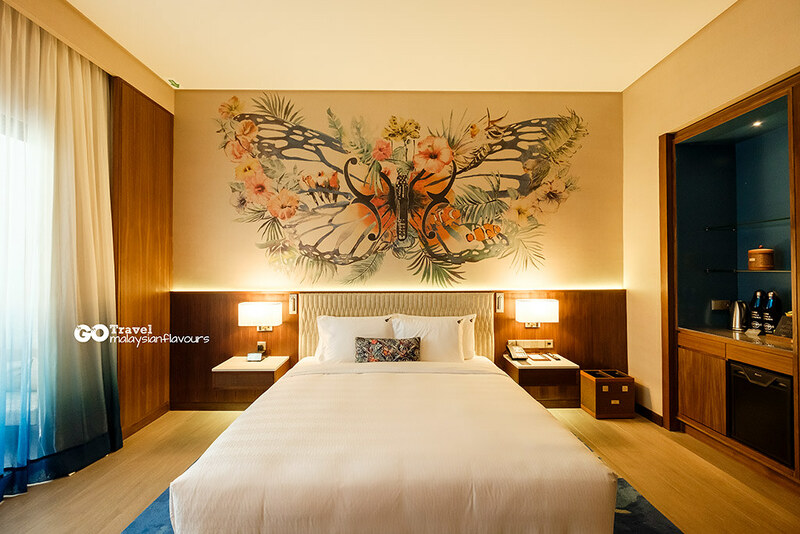 Other than Superior Room, they also have Deluxe Rooms and Deluxe Gold Rooms for now. 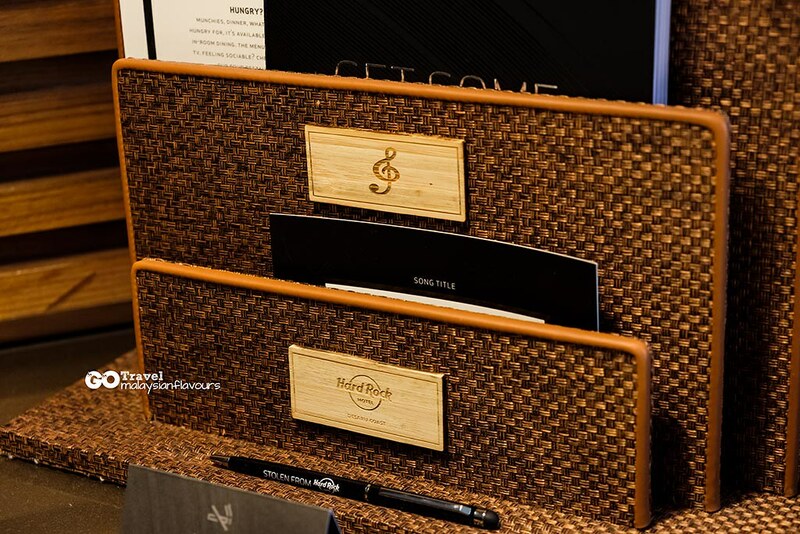 Rock Royalty Delue Rooms, Studio Suite Gold, Rock Suite, Rock Star Suite and Studio Suite will be available in near future. 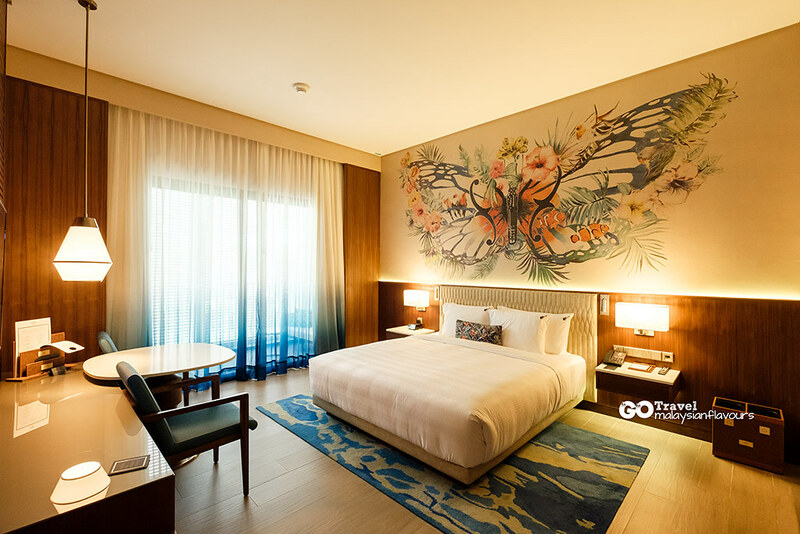 So stay tune for more exciting stay in their upcoming room choices! 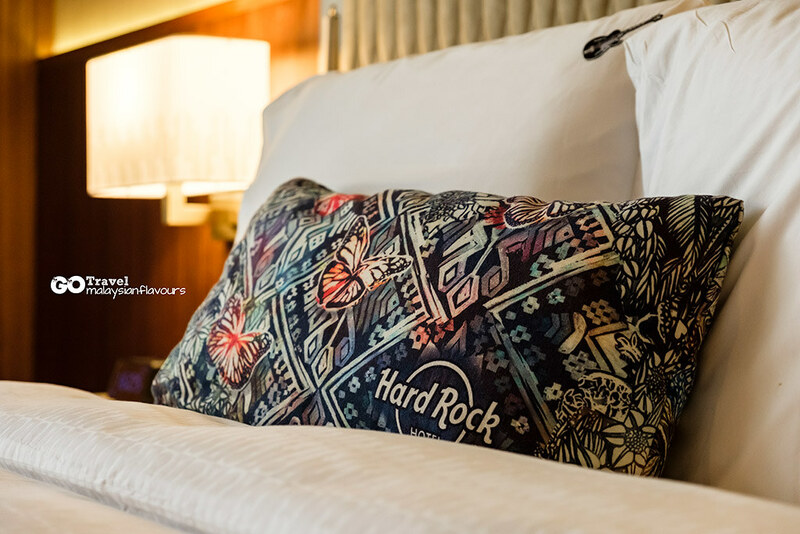 A large, comfy king bed with signature Hard Rock bedding that can make us laze around for the whole day in room. 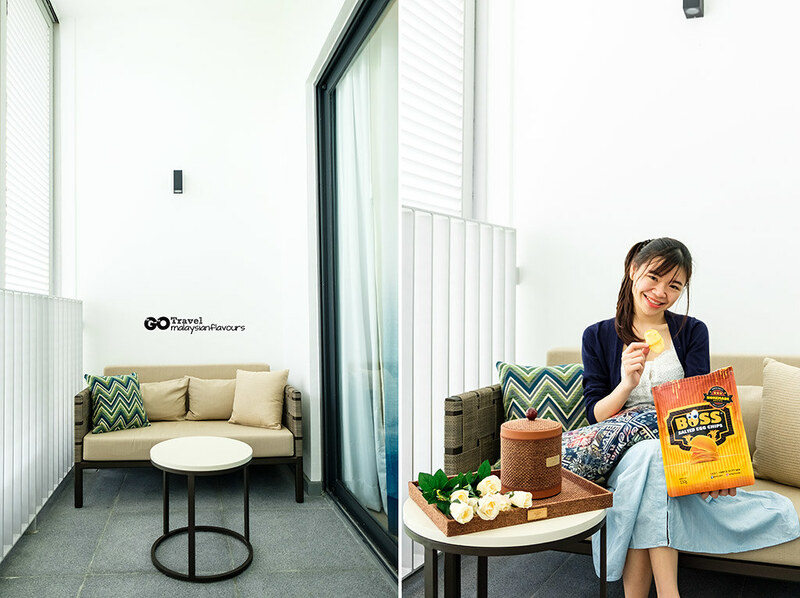 Love this private balcony with mini sofa, despite the not-so-good-view. Lol. 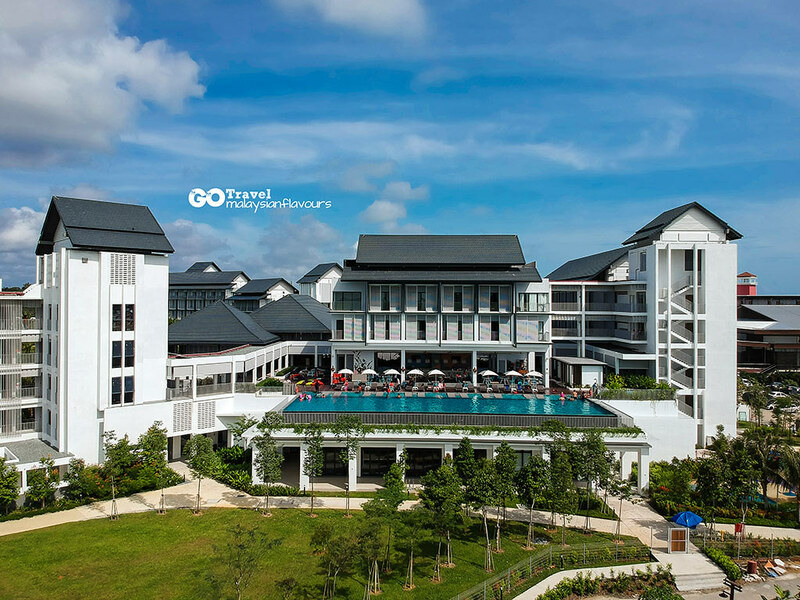 Bask in the comfort of sunshine during daytime, mood lifted up with happy cheers from the Desaru Coast Adventure nearby, and contrasting tranquil moment when the sun goes down. 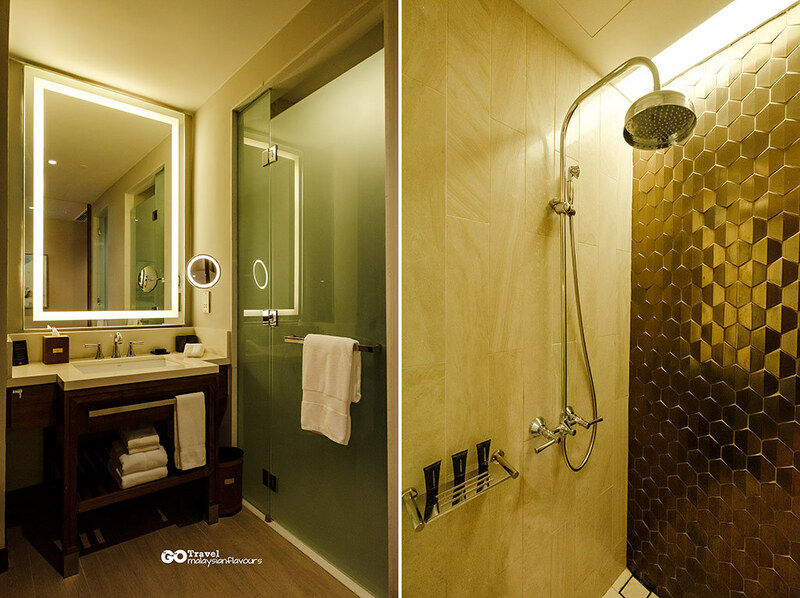 Spacious bathroom and toilet. Shampoo, conditioner, bath gel, lotion, hair dryer, bath towel are all ready. Save the hassle of preparing all this during packing, and give more luggage space for your #ootd clothes. Yes! 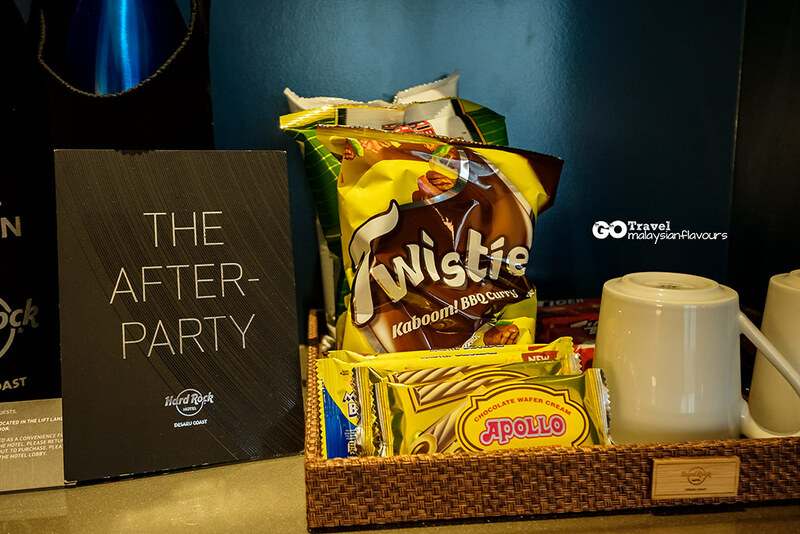 The best part – a tray full of snacks and drinks! 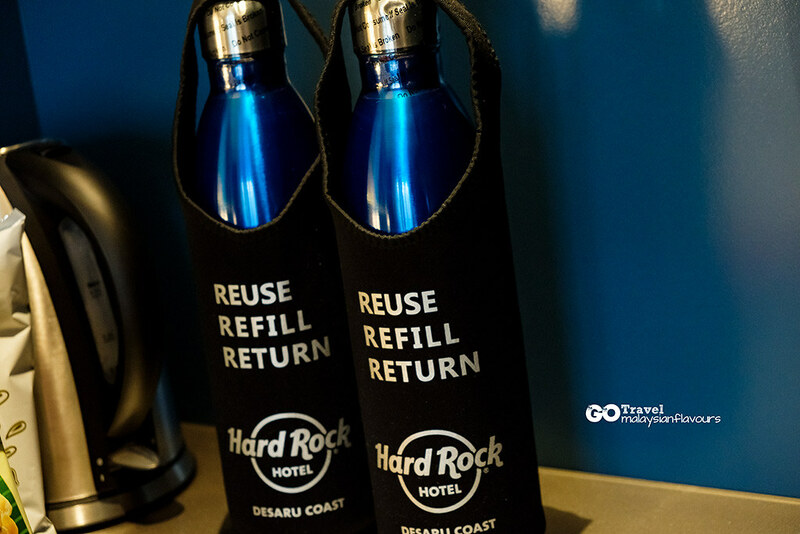 These are usually charged separately in most hotels, but it is included in your room price for Hard Rock Hotel Desaru. Kitkat, Twisties, Double Decker, Muruku, Tiger biscuits, etc. – FOC and replenished once daily. So do not be shy to eat them all. Hehe. Snack all day er day, ended up having sorethroat by the end of the trip. Lol. Done touring our room, welcome to the lobby of Hard Rock Hotel Desaru! Sooooo pretty! 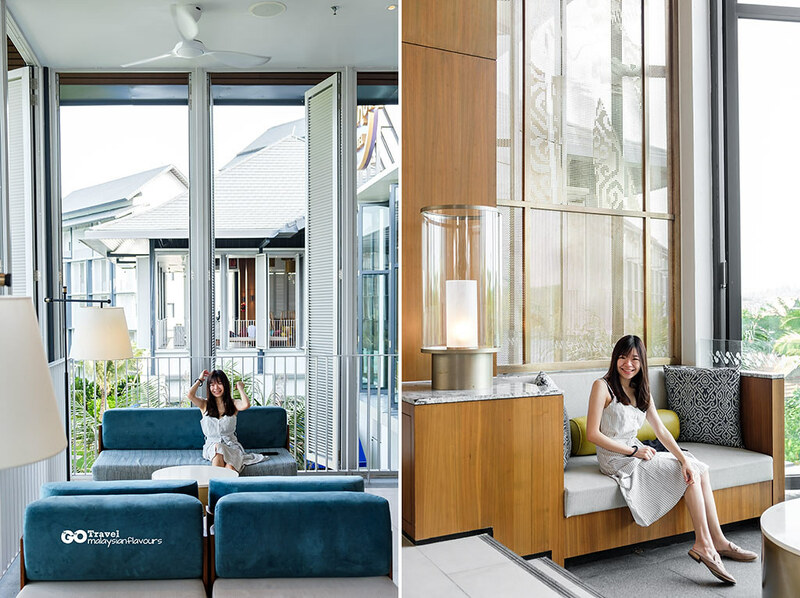 Natural light-filled during day time, Insta-worthy at almost every corner. 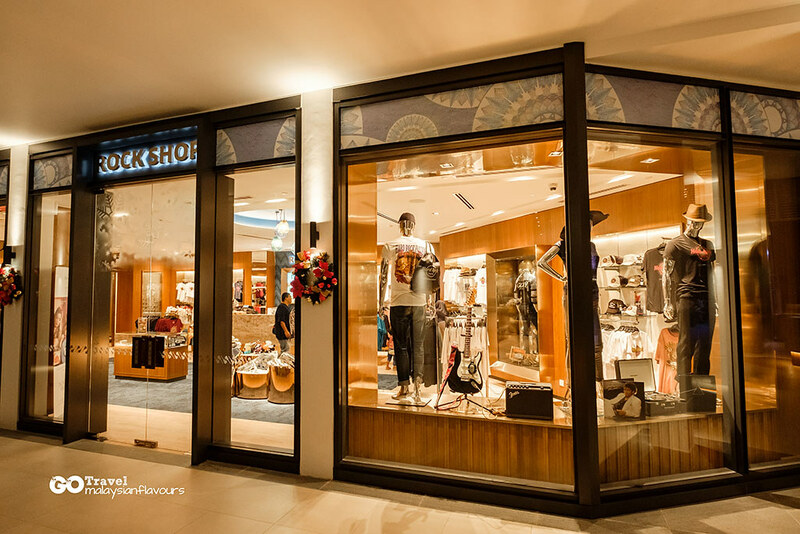 Perfect place for all your #OOTD shot. Swimming pool. Opened from 8AM-7PM daily, depth of siwmming pool is 0.9 to 1.4meters. 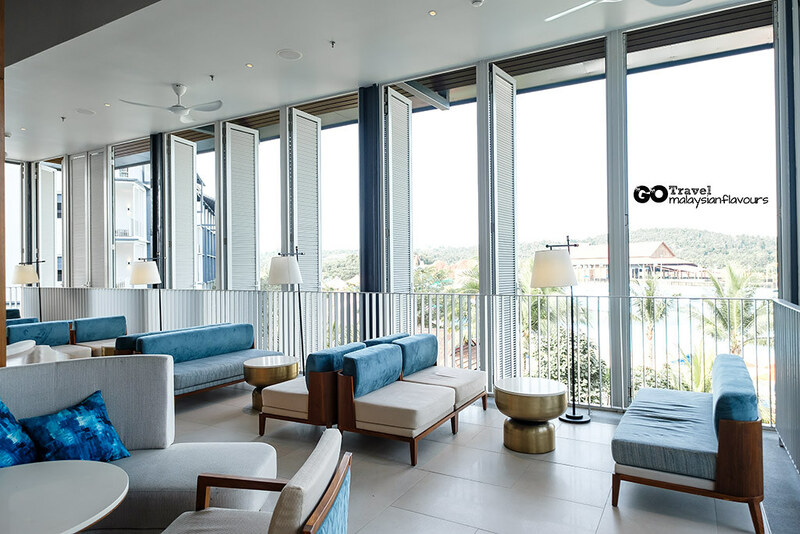 The lobby bar & lounge. 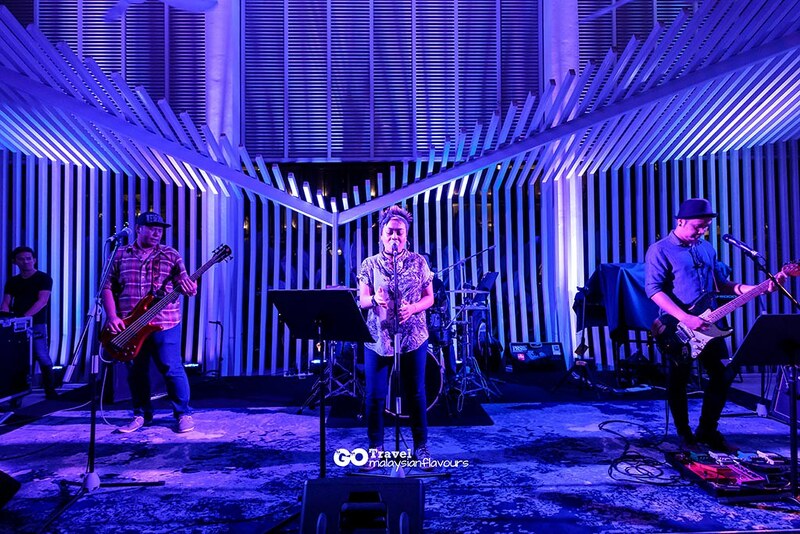 Come by around 9PM to enjoy daily live music, along with refreshing signature cocktails, drinks and booze that fits your mood. 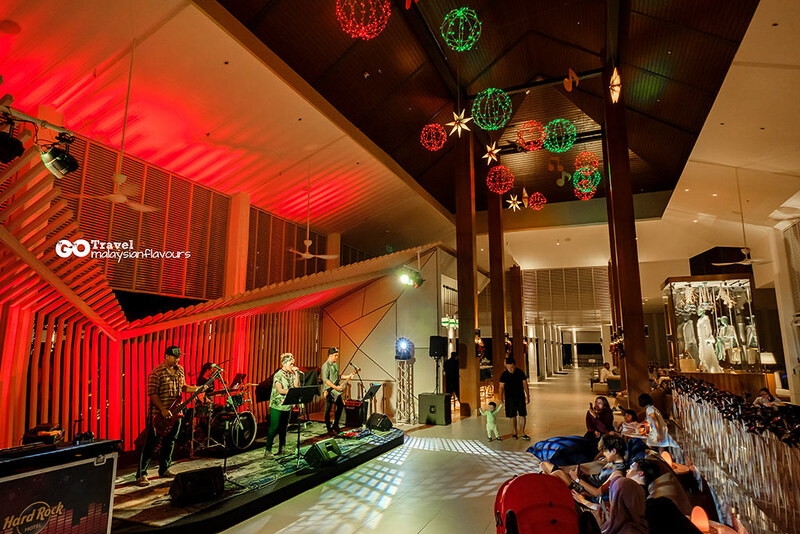 Great place to mingle around during daytime too, especially for family with kids as they have board game sets suitable for both young and adults. 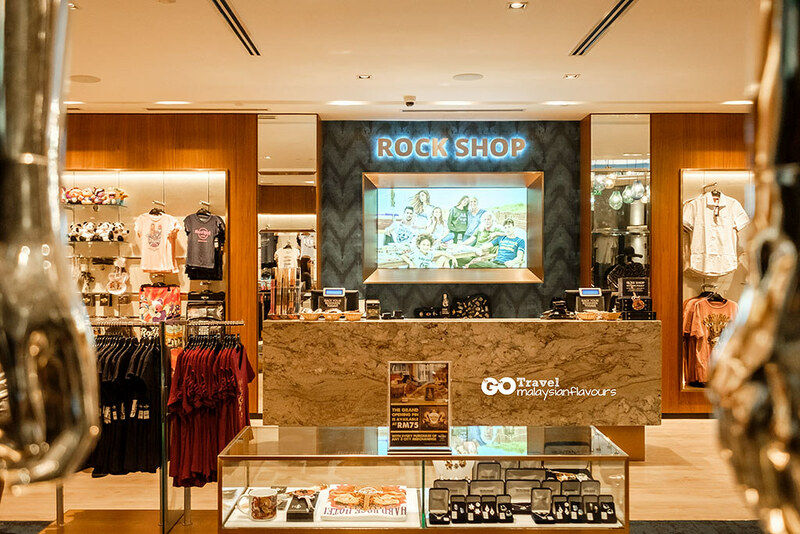 Rock Shop, featuring music-inspired collections such as shirts, jackets, fridge magnet, collectable pins, water bottle and more. Bought a cute fridge magnet here. 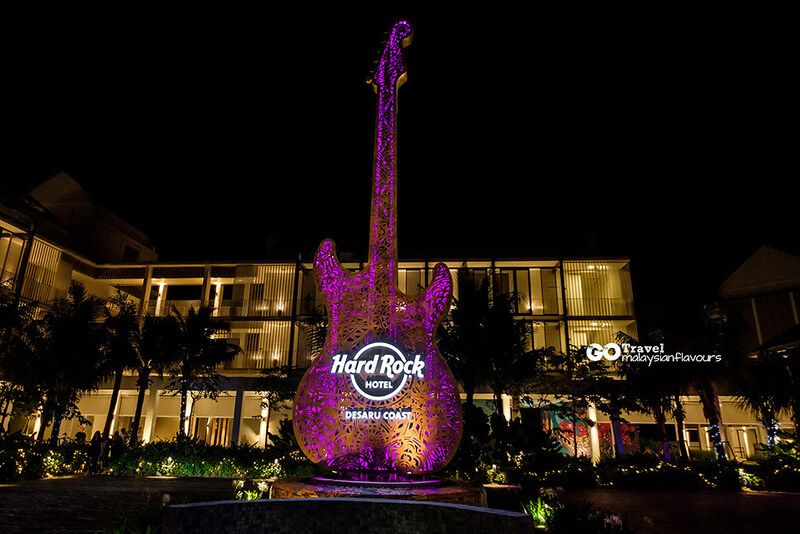 Some are limited edition collectibles available only at Hard Rock Desaru Coast. So do not miss out this shop whenever you are here. 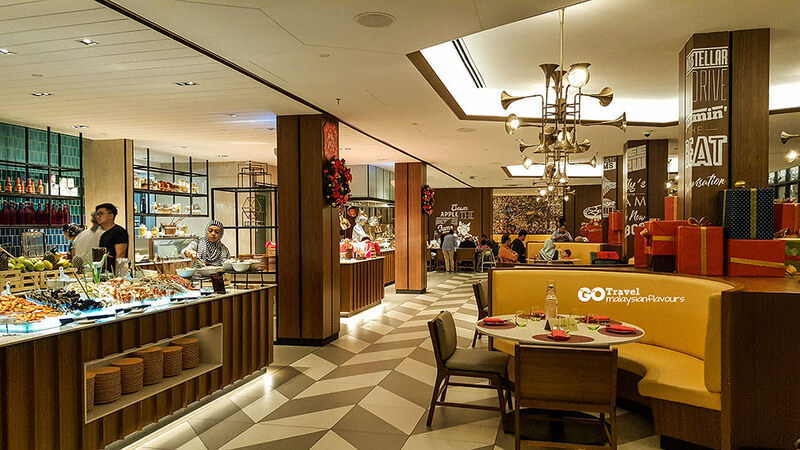 Food choices around Desaru Coast is quite limited, so dining in the hotel itself is probably the best option for now. 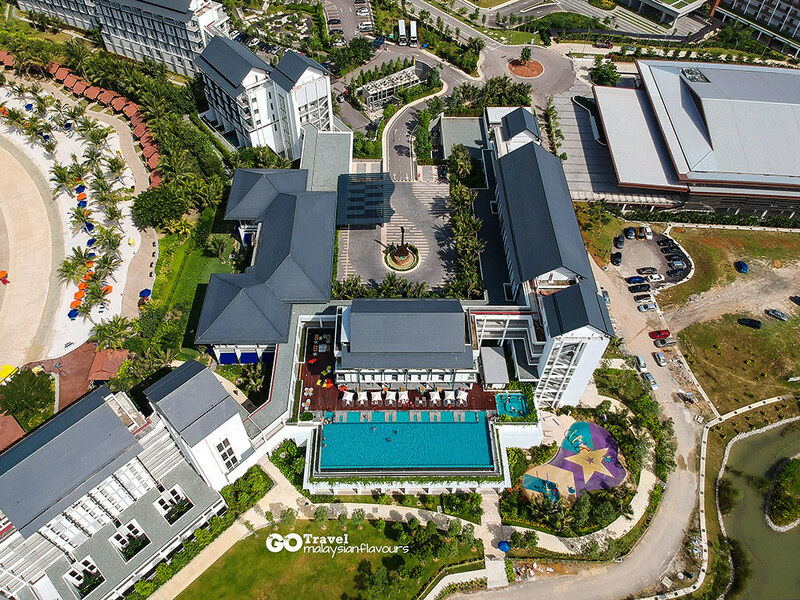 In Desaru Hard Rock Hotel, there’s 4 retaurants – Sessions All-Day Dining Restaurant, The Elephant & The Butterfly Mexican Poolside Bar & Grill, Constant Grind, GMT +8 Lobby Bar. 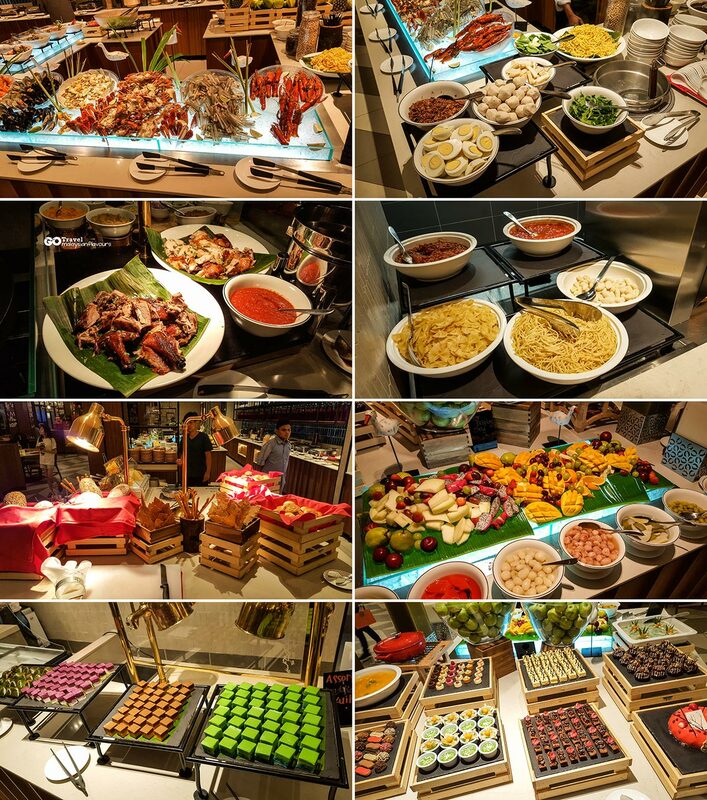 We had our breakfast and dinner at Sessions, buffet style. 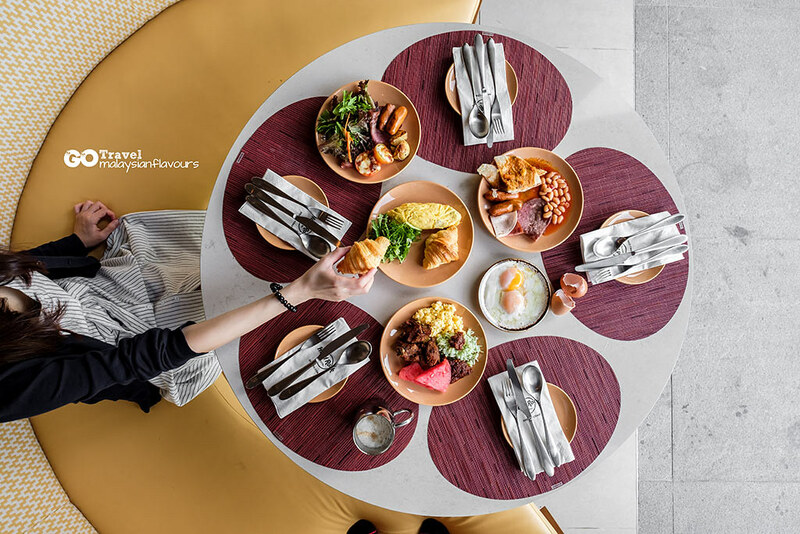 Breakfast with good, with a wide variety of local and Western delights. Dinner is just alright, nothing impressive. Had a wonderful stay in Hard Rock Hotel Desaru. 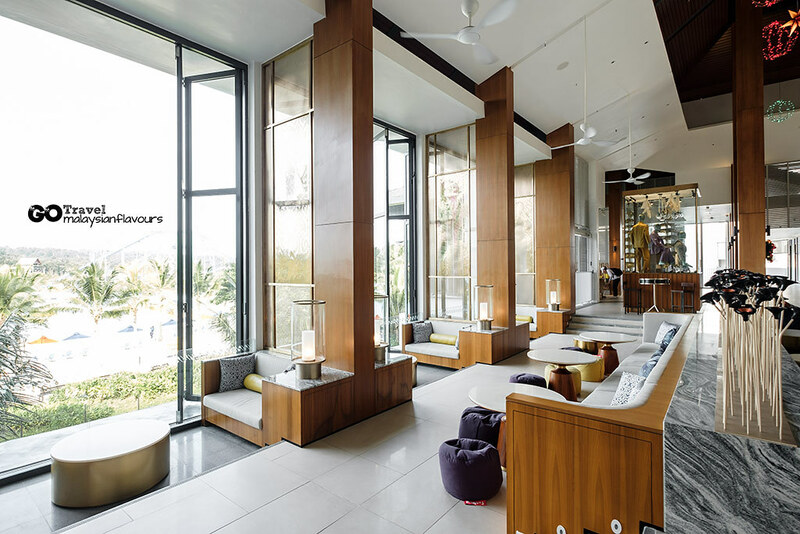 Get to really chill and relax, thanks to the peaceful, calm atmosphere. 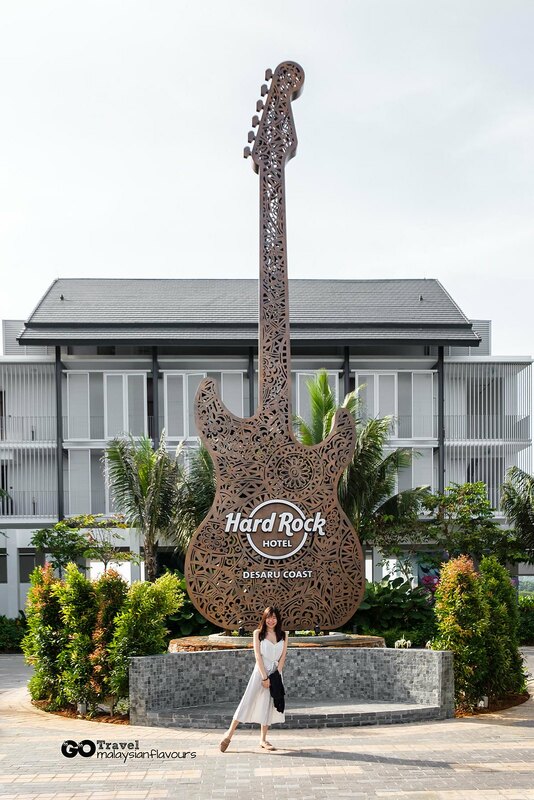 And ya, remember to take a picture with Hard Rock’s signature guitar before you leave! 81930 Bandar Penawar Johor, Malaysia.